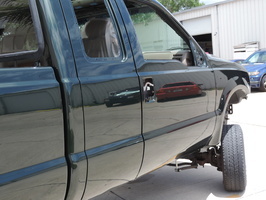 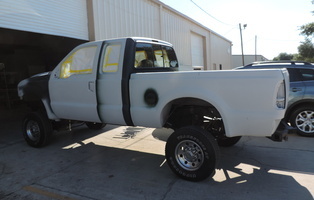 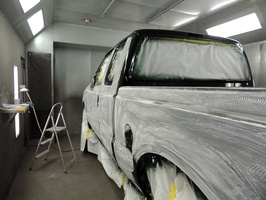 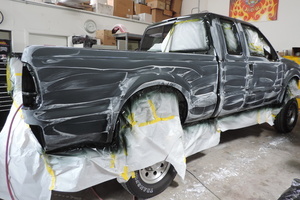 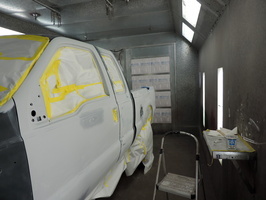 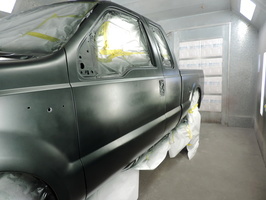 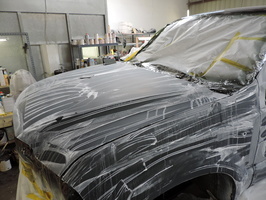 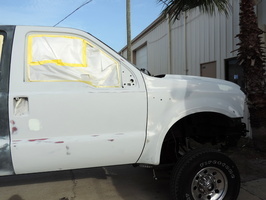 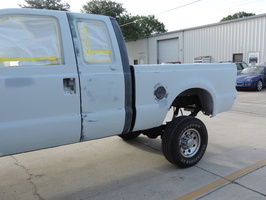 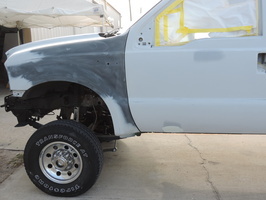 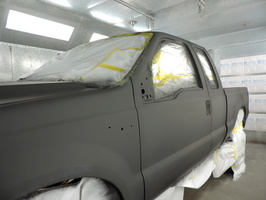 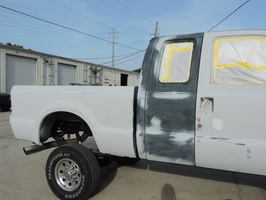 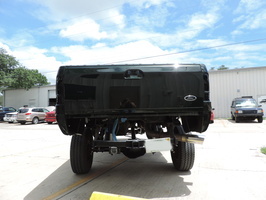 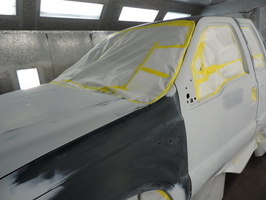 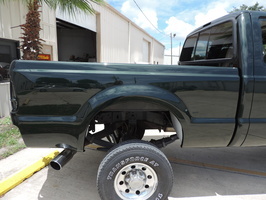 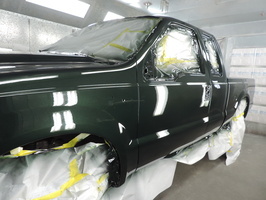 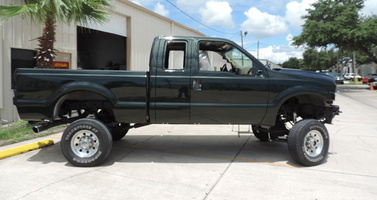 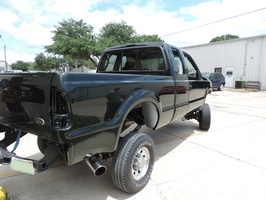 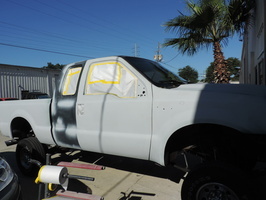 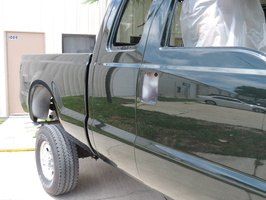 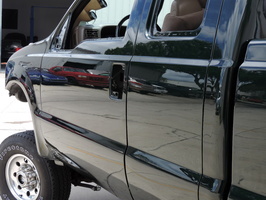 This truck came to us with the cut-in on the door jams and other places already painted and the truck was prepped. 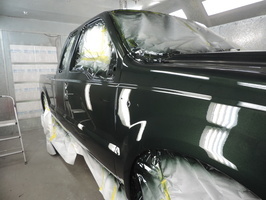 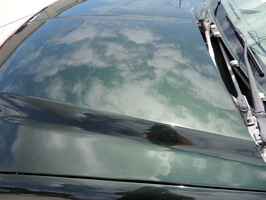 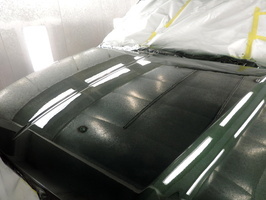 We did some other bodywork, sanded and painted the exterior only in Highland Green. 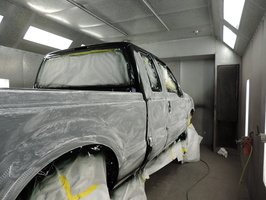 We also machine sanded and wetsanded the truck for a nice flat glossy finish.